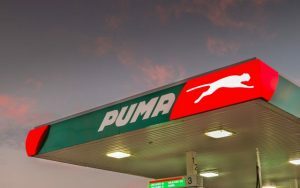 Puma Energy, the global mid and downstream energy company, has announced the broadening of its team with two senior appointments: a Global Head of Retail and Global Head of Compliance. Alessio Torelli joins the company as Global Head of Retail from Eni Refining & Marketing where he was responsible for Retail & Smart Mobility Services in Italy. Prior to this, Mr. Torelli covered several international Retail roles, from Innovation & Development to Commercial Fleet, from Network Development to M&A in Eni and previously in Shell (from 2001 to 2011). Puma Energy operates 2,419 retail sites around the world. Andrew McClarron joins the company as Global Head of Compliance. Previously, Mr. McClarron worked at BP (2016-1987) where he was responsible for every facet of the Ethics and Compliance programme for a number of global businesses. Puma Energy has 7,900 people hard at work in 47 countries.